He was born in Riga. His parents were divorced and his mother brought up five children alone. Did not complete his studies at the Faculty of Industrial Aesthetics of VKHUTEMAS- (Higher Art Technical Studios) choosing instead to work at home. Soon, he joined the group of young artists who had been students of Alexander Shevchenko. 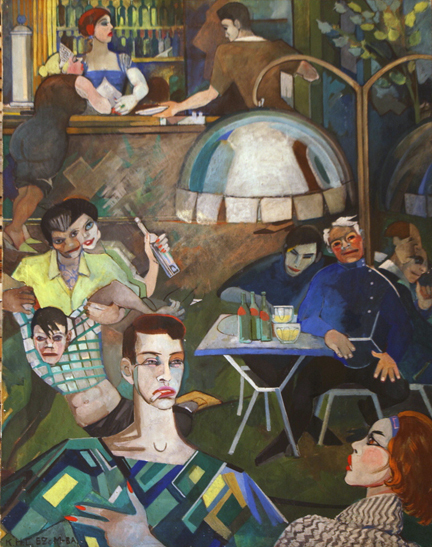 In 1926 and 1928, the group exhibited their works under the name of “The Painter’s Workshop”. Suryaev provided 30 pieces of art for the exhibition. But the official critics judged the event harshly. During the same period, Suryaev travelled across Central Asia. His brother Semyon was also a talented artist, but he burnt down all his works and completed his life in the mental hospital. After the Second World War, he worked at the Glavkhudojprom (Main Art Industry) as a leader of the decorative toys department. He sometimes prepared models of dolls himself. 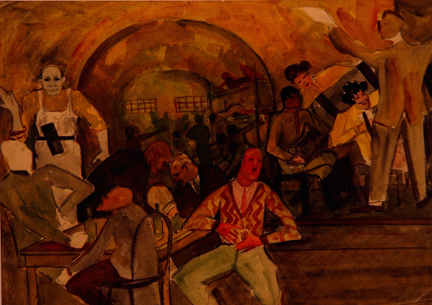 It was only in the twilight of his life, living on his pension, that the artist could devote all his time to painting. Suryaev was confident in his talent, but completely devoid of vanity and never aspired to display his works in public.